Digital transformation goes beyond deciding which technology will best achieve the business goal. It requires business leaders to address changes in the existing corporate culture, and to be mindful of the fact that business opportunities — not technology — should drive innovation. There are numerous challenges for enterprises as they embark on a digital transformation. Today's workforce demands to have the same on-the-job mobile experiences as customers. Organizations are struggling to determine how to use technology and data efficiently to transform their operations. Meanwhile, many enterprises — fearing that they are behind competition — are chasing technologies instead of identifying strategic business outcomes. 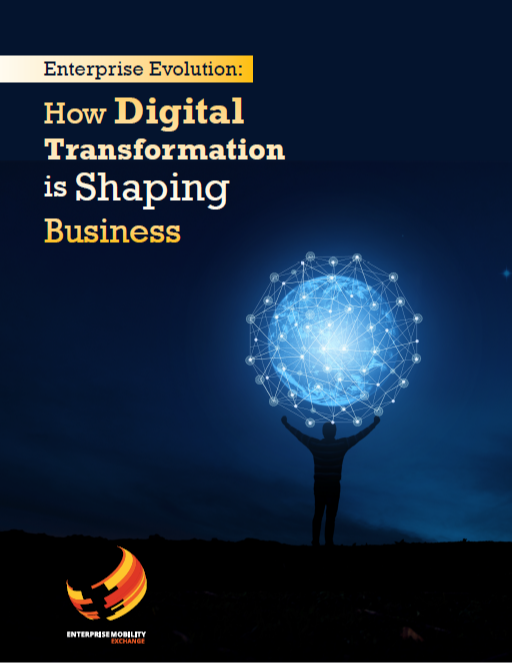 The Enterprise Mobility Exchange Team have created this fantastic research report that uncovers the various avenues to be traversed in digital transformation and how they converge. But that’s not all: the report also highlights the rapid progression of enterprise digitization, the key technology components enabling digital transformation as well as AI/Machine Learning, Cloud Computing, IoT, Data Analytics, Security and Mobility. This is a must read report that we wanted to share - so enjoy!